Manufacturers are being warned to ensure they comply with the law after it was discovered some provided different offers via leasing companies for the same car depending on the status of the driver. The practice came to light when a customer discovered they would pay more on a lease as a private user than if they were supplied as a business for exactly the same vehicle. Setting different rates appears to be prohibited under the Supply of New Cars Order 2000, which states that car manufacturers cannot discriminate in terms of the discount for a new car with a contract hire company on the basis of whether the recipient of the vehicle is a fleet customer or not. 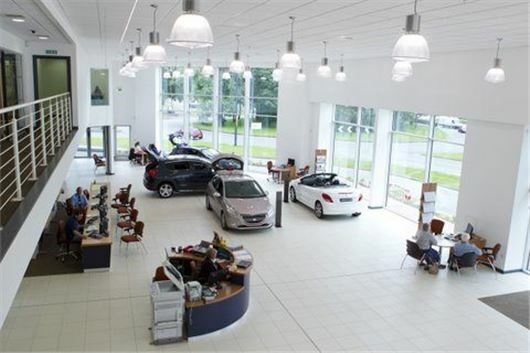 Rob Chisholm, managing director of leasing broker Applewood Vehicle Finance, said he has been trying to tackle individual manufacturers on this issue over a long period and, with one exception, has been met largely with resistance. He told Fleet News: “The manufacturers like to protect their franchised dealers’ retail interest which, on one hand, is understandable because they have made a significant investment in that franchise, but should that really be to the detriment of the consumer? “The problem emanates from the terms the manufacturer imposes on the leasing company rather than what the leasing company wishes to do. Chisholm was interviewed for the BBC radio programme You and Yours over a disparity in the monthly lease rate for Volkswagen Golf R models, depending on whether the end-user was a retail customer or a business customer. In the programme, Louise Wallace, business development director for the Retail Motor Industry Federation, claimed the picture was more confused than suggested and stated there was a long history of different terms by dealers structured for whether the vehicle was supplied to consumers or business people. But Chisholm said that after taking the matter up with Volkswagen UK last autumn, the manufacturer revised its procedures within days and now complies fully with the Order, although many other manufacturers still could be in breach of the law and seem unwilling to change their practices. He is now urging any leasing suppliers who are coming up against the same issues to contact the Conduct and Markets Authority, which has said it would investigate any complaints. “In fighting this I have received no support from within the industry – whether that be from the leasing companies, the manufacturers, contemporaries or the British Vehicle Rental and Leasing Association (BVRLA),” said Chisholm in an interview withFleet News. variances in the list prices of vehicles in different european markets. There was also concern that consumers were not getting the benefit of volume discounts achieved by fleets. The Order set out provision for non-discrimination between fleet customers and dealers, and the prohibition of discrimination in respect of contract hire companies, as well as relating to restrictions in advertising and pre-registration of vehicles.